Frankfurt, 5th January, 2015: Plastindia, the international flagship show of the Indian plastics industry gears up to create new milestones by taking the 9th edition of the mega trade show Plastindia 2015, now to a new and modern venue. Gandhinagar, the capital of Gujarat, will host Plastindia 2015 from Feb 5-10, 2015 at a well-designed Modern Exhibition Venue with a “State-of-the-Art” at Helipad Ground, Gandhinagar. The massive and futuristic 125,000 square meter venue will bring under one roof 2000 exhibitors from 40 countries, including the world’s and India’s leading innovators in Plastics. 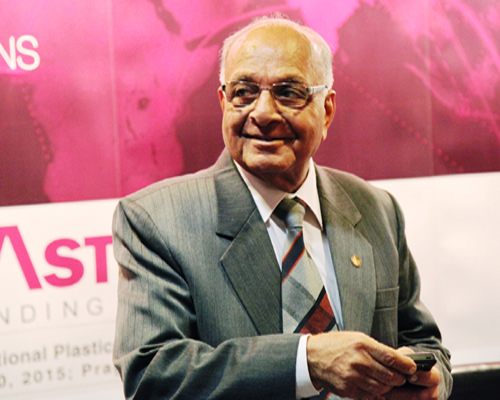 Over 150,000 visitors are expected to congregate at Plastindia 2015. The Exhibition will cover all the segments of the Plastic Industry viz. Polymer producers, Compounds and Masterbatch suppliers, Additives manufacturers, Processed Plastic Products, Primary Processing Machinery, Down-stream Conversion Equipments, Moulds & Dyes and other Service Providers. The International partners for Plastindia 2015 are Messe Dusseldorf, AdSale of Hongkong, Pilatus of Taiwan. The event is supported by Euromap. The Exhibition will have Country Pavillion from U.K., France, Australia, Germany, China, Taiwan etc. The Govt. of India, Ministry of Chemicals & Petrochemicals and State Government of Gujarat are also supporting this event. The venue holds immense strategic significance with more than 60% of India’s plastics industry being located in the State of Gujarat and the State is a base for some of the biggest players from this sector. There will be a two-day International Conference on the theme “GATEWAY TO INNOVATIONS. This is particularly relevant in current context as Indian plastics industry is driving towards specialty products and positioning plastics in innovative applications. While the presentations and business sessions would revolve around this theme, this Conference will be an ideal platform to explore the ideas, uncover the solutions and develop the opportunities thus making it the largest and most highly respected event of the industry. ‘Plasticon Awards’ to felicitate excellence and innovation in the field of Plastics, Plasticon Awards are the most prestigious awards for the plastics industry, practicing professionals and students. The 7th Edition of Plasticon Awards will cover the entire spectrum of the Indian Plastics Industry. This year Plasticon Awards will be given across 25 different Award Categories, including three new categories for Indian Participants and have opened up four for International Participants. 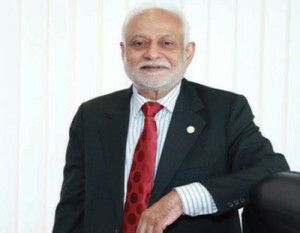 The 26th Meeting of Asian Plastics Federation, comprising of twelve Asian countries, will deliberate upon the issues of sustainability of plastics with special reference to plastics waste and its management; latest recycling technology; marine litter management and regeneration of energy from non-recycled plastics waste. Plastindia and Wiintech-European Technology Transfer Group will be collaborating together to establish linkages, business partnerships and trade opportunities between technology linked members. A program initiated along with Wiintech of Europe to facilitate and promote trade relationships, partnerships, alliances between Indian companies and the foreign companies across the world. For all those entrepreneurs, medium and small companies who always aspired to do international business but did not know how to venture, now can be part of PLASTWIN and take their next steps knowingly and confidently in exploring international business and tie-ups. Proplast will showcase India’s burgeoning plastics processing capability and it demonstrates high standards that are consistently being delivered by Indian processors across the globe. Last three editions of Proplast have helped Indian Processors to get noticed internationally and it has given Indian Plastics Processors a high visibility platform to interact with international business. Major international retail chains make it a point to be present at Proplast and see what India has to offer. PlastIndia 2015 concurrent event Proplast, this 4th edition event is the final word in processed plastics, the heart of India’s plastics industry. This will have its own dedicated pavilion of more than 5,000 square meters and this pavilion will display one of the finest processing capabilities from across India. Plastindia will also organize a GALA Evening, which will give opportunity for entertainment and net-working. Apart from the aforementioned concurrent events Plastindia will be having an Innovation pavilion for the first time and is going to be an exciting place to visit for all interested in modern development using plastics. It would be of utmost importance to all those interested in Research & Development, Science, Inventions and Innovations and specially to Scientist, Technologist and Engineers and Faculty members & students. The organisers plan to make it as interactive as possible and entertaining besides being educational to even lay public visiting Plastindia 2015. • Industry / Institution Sections: will consist of presentation of Innovations as practiced by Plastics Industries and Academic Institutions. • Graduate Students Posters: where graduate students research work will be presented as posters. • Plasticon Awards: A pride of place will be given to Plasticon Awardees in this pavilion, a fitting place for all those who have won the much sought after Plasticon Awards in as many as twenty five categories. At a time when the industry stands on the cusp of a grand growth story, Plastindia 2015 is all geared up to provide that much required push. During the period 2013 to 2020, plastics consumption in India is set to increase from 12 MMTA to 20 MMTA. Exports will rise from US$ 6 billion to US$ 8 billion. Direct and indirect employment will grow from 1.2 million to 2 million. So, do not miss this opportunity and mark your calendar to attend the 9th International Exposition Plastindia 2015 and have pleasant and rewarding experience and expand your horizon.